Falmouth now has FREE town WiFi! From The Moor to Events Square, you can now log onto the Falmouth_FREE_WiFi platform via the WiFi settings area on your smart phone or tablet and browse. Another great way in which you can connect with our award-winning, dynamic town. 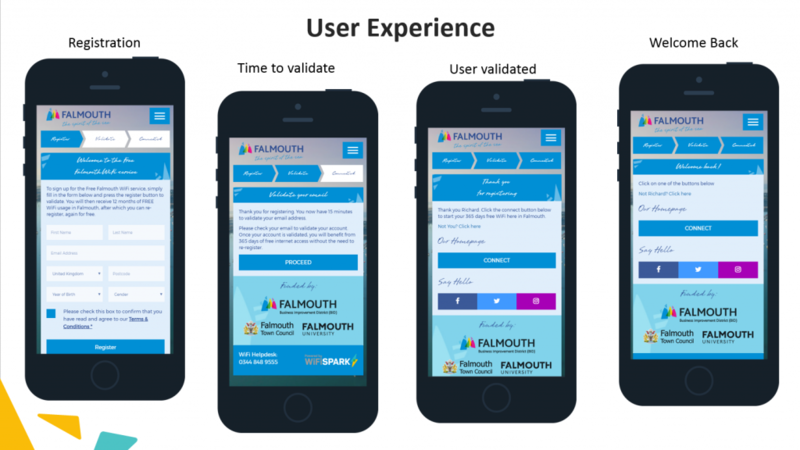 The Falmouth Free WiFI project has been delivered by the Falmouth BID working in partnership with Falmouth Town Council with support from Falmouth University. Once you’ve filled in the details you will be sent a confirmation email. Simply click on the link given and you’re online!